LINX Presents Cool Science at Wellesley S.T.E.M. Expo! WELLESLEY, MA – April 16- LINX was among about 100 organizations present at The 2019 Wellesley STEM Expo held at Wellesley High School on April 6th. LINX teachers wowed attendees with dry ice bubbles during the event. Many area families were in attendance at the event sponsored by the Wellesley Education Foundation. 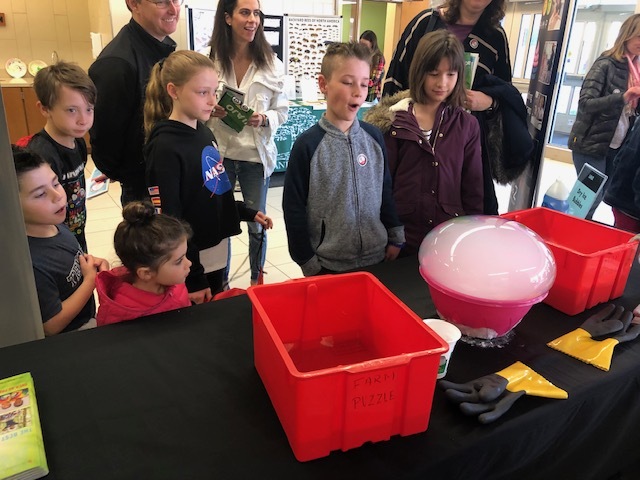 Kids and parents alike enjoyed the event as well as the dry ice experiment presented by LINX. When water is poured over dry ice it rapidly starts to melt releasing carbon dioxide. The carbon dioxide was then trapped in the bowl by creating a bubble over the top of the bowl. Once the carbon dioxide reaches the bubble over the bowl, it forces the bubble to expand creating a gigantic bubble. Once it pops, it releases a fog of carbon dioxide! "It was awesome to represent LINX at this town-wide event!” said LINX teacher and customer service specialist, Chloe Norris. LINX is in its thirteenth year of operation providing fun-based classes and camps that specialize in dance, theater, sports- and of course, science. The main office is located at 141 Linden Street in Wellesley, MA. For more information about LINX, visit http://www.linx-usa.com or call 781-235-3210. 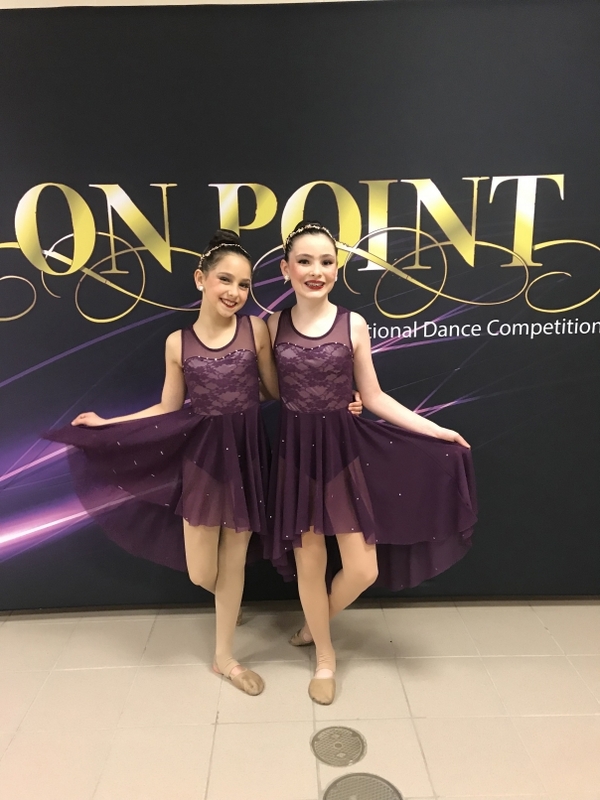 WELLESLEY, MA – April 10- LINX Dancers were excited to return to The Turn It Up Dance Competition in Bellingham, Massachusetts the weekend of March 22nd-24th and earned many awards. All LINX Dance Studio competitive dancers performed in the competition, ranging from the Mini Team to Senior Elite level. Dancers ranging from kindergarten through high school seniors competed in the event, many were competing for the very first time in a dance competition. LINX dancers performed their hearts out, showing that their hard work and dedication has paid off! They look forward to continuing to work hard during classes and at competitions for the rest of the season. Dancers performed their group dances, solos, duos and trios for the first time this season. LINX Dance Director, Heather Emley expressed, “It was so great to see so many of our dances on stage for the first time. I am so incredibly proud of all our dancers' professionalism and passion. Their joy and enthusiasm truly shined and we look forward to the remainder of the season." LINX Dance Studio was among ten dance schools represented and was fortunate to receive multiple accolades throughout the weekend. These included high scores, special awards, overall placements, and Teen Miss Turn It Up Titleist. The studio’s student-choreographed routine, "Silhouette" earned 1st place overall in the Competitive Senior Teen Duo/Trio Division. Many LINX dance routines were selected as outstanding routines and invited into The Turn It Up National Dance Team! This was LINX Dance Studio’s eighth time competing at The Turn it Up competition. LINX is in its thirteenth year of operation providing fun-based classes and camps that specialize in dance, theater, sports, STEAM and early childhood programming. The main office is located at 141 Linden Street in Wellesley, MA. For more information about LINX Dance Studio, visit http://www.linxdance.com or call 781-235-3210. LINX Dance had a great start to their competitive season taking home many awards and accolades at the Diva Dance Competition on February 2nd, 2019 at Amesbury High School, Amesbury, MA. LINX Dance had members of their company and elite groups competing in thirty separate routines. LINX Dancers competed their solos, duos and trios. LINX Senior Elite group also competed their group routines. "We are so proud of all of our dancers’ accomplishments from this past weekend at Diva Dance. It was an incredible start to the season and was great to see their hard work and dedication truly shine! We look forward to the rest of the season and watching our dancers perform! ", said LINX Dance Director, Heather Emley. LINX dancers ages 10 through 18 earned 8 Title placements, as well as the Top Overall Duo/Trio Routine, Top Overall Group Routine and Top Scoring Routine of the Competition. Two LINX Dance soloists also received special awards from judges: the "IT Factor" award, and the "CdLS Spirit Award" which are testaments to the dedication the dancers put into their performances and the emotion portrayed through each of their routines. This was the fourth time LINX Dance participated in the Diva Dance competition which incorporates live judging while the dancers are still on stage which can help them improve routines later in the season. LINX is in its thirteenth year of operation providing fun-based classes and camps that specialize in dance, theater and sports. The main office is located at 141 Linden Street in Wellesley, MA. For more information about LINX, visit http://www.linx-usa.com or call 781-235-3210. WELLESLEY, MA – January 31, 2019 – LINX Basketball campers will be thrilled to know their favorite guest coach is back for more fun this summer during the weeks of July 8th and August 5th at the Dana Hall Campus in Wellesley. 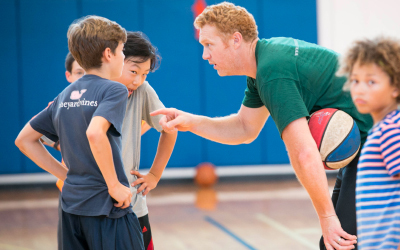 Brain Scalabrine’s high energy, hands-on expert instruction, and participation in all things camp make him an ideal role model for sports-loving campers. “Basketball camp is something that I look forward to every summer, I love working with kids who want to work hard and care about improving their skills. We work hard and play hard at LINX Camps. We also have fun while teaching kids the importance of doing things the right way, on and off the court,” said Scalabrine. Kids love his humor and enthusiasm for having as much fun as possible with them. Over the years, he would be seen having lunch with the kids and participating in camp-wide activities, such as LINX’s Friday special events. Scalabrine will coach 2nd – 8th grade basketball campers, who’s day typically includes 3 daily periods of the sport, lunch, swim, a bonus camp activity, and traditional camp-wide activities. He will also coach LINX’s LX basketball campers, 4th – 8th grade, who have more periods of the sport built into their day. Serving Metro West, LINX is now in its thirteenth year of operation with over forty premier camps. The main office is located at 141 Linden Street in Wellesley, MA. For more information about camps at LINX, visit http://www.linxcamps.com/SportsCamps/Basketball or call 781-235-3210. WELLESLEY, MA – January 10, 2019 – Starting in February, LINX has packed more into school vacation camps, with better flexibility for working parents during the school year, and even more fun for kids who are beginning to long for the activities and traditions they became accustomed to in the summer. The February and April school vacation camps are now an extension of the week-long day camps in that children age 3 years to 8th grade will have a full or half-day adventure, complete with traditions and spirit, games, music, sports, science, team building, arts and crafts, theater, and more. The new program schedule includes the option for lunch, early drop-off and extended day, a benefit to parents looking for fun, full-day options during school breaks. Might Mights, Rangers, and Liberty camps, modeled after the same programs offered in the summer, will take place indoors at LINX’s Linden Street headquarters in Wellesley, and thus will not include swimming or water games. As in previous years, all vacation camps remain available to members and non-members. Serving Metro West, LINX is now in its thirteenth year of operation with over forty premier camps. The main office is located at 141 Linden Street in Wellesley, MA. For more information about school vacation camps at LINX, visit http://www.linx-usa.com/events/SchoolVacationPrograms or call 781-235-3210. WELLESLEY, MA – December 18 – Young LINX dancers in 2nd through 7th grade entertained families with jazz routines at the annual Sprague Cookie Walk in Wellesley on December 13th. The dancers loved the opportunity to perform in the elementary school’s gymnasium in front of their classmates and families, who were excited to watch while munching on cookies and other festive treats from the jolly event. “Our LINX dancers have such a blast performing in the community. We were so happy to be a part of this year’s Sprague Cookie Walk. The event was a huge success and we hope we can help in the years to come!” said LINX Dance Director Heather Emley. The dancers performed the same routines at the Bates Pumpkin Fair in October. 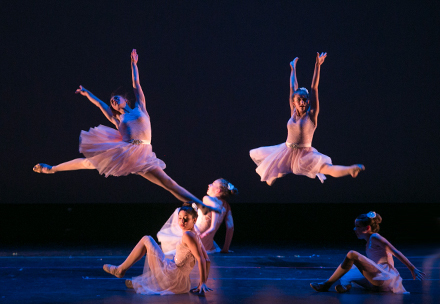 In addition to making a community contribution through entertainment, the dancers used the experience to perform together as a team in preparation for their winter and spring competitions. All of the dances were choreographed by LINX’s teacher assistants who are members of the senior elite competitive team. LINX Dance Studio offers recreational and competitive programs, including private lessons and drop-in classes, on weekdays and weekends for children of all abilities in preschool through high school. LINX is in its thirteenth year of operation providing fun-based classes and camps that specialize in dance, theater, sports, martial arts, and STEAM. The main office is located at 141 Linden Street in Wellesley, MA. For more information about camps and classes at LINX, visit http://www.linx-usa.com or call 781-235-3210. WELLESLEY, MA – December 11th – LINX’s lobby at 141 Linden Street is once again a display of the generosity of the Wellesley community, where LINX members and the public can drop off their unwrapped toy donations to Toys for Tots. Donations will be accepted until December 12th in the festive bins decorating the lobby. “We’re beyond grateful for our members’ generous contributions to kids in need and happy to support Toys for Tots in this way,” said Joseph Kahn, Owner and Founder of LINX. The organization continues to be an official drop off location for the charity. For LINX’s drop-off hours, visit http://www.linxclasses.com/Details/FAQ#hours. For more information about Toys for Tots, visit https://toysfortots.org. Serving Metro West, LINX is now in its thirteenth year of operation providing fun-based classes and camps that specialize in dance, theater, sports, martial arts, and STEAM. The main office is located at 141 Linden Street in Wellesley, MA. For more information about camps and classes at LINX, visit http://www.linx-usa.com or call 781-235-3210. 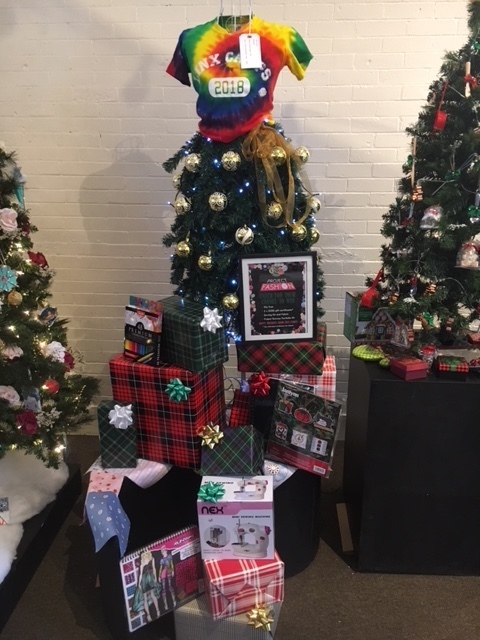 WELLESLEY, MA – November 26, 2018 – LINX Camps of Wellesley has channeled confidence and creativity into its Project Fashion Camp tree, this year’s donation to the Massachusetts Horticultural Society’s Festival of Trees event in Wellesley, (November 23 – December 9th). Standing nearly 5 feet tall, this year’s tree incorporates a dress form, used for sewing dresses and clothing tops, adorned with a Christmas tree dress made from faux branches, bow, golden ornaments, and lights, in the true spirit of LINX Camps’ popular Project Fashion Camp. The specialty camp is perfect for girls and boys in 5th to 8th grade to dive into the world of fabrics, colors, patterns, and clothing design. The tree, traditionally raffled off during the event, serves as an example of combining materials and sparkle into a masterpiece. Along with the tree, the winner gets a set of 3 $200 LINX Camps 2019 certificates, a children’s sewing kit set, fabric, and a Project Runway Portfolio play kit. Serving Metro West, LINX is now in its thirteenth year of operation with over forty premier camps. The main office is located at 141 Linden Street in Wellesley, MA. For more information about camps and classes at LINX, visit http://www.linxcamps.com or call 781-235-3210. 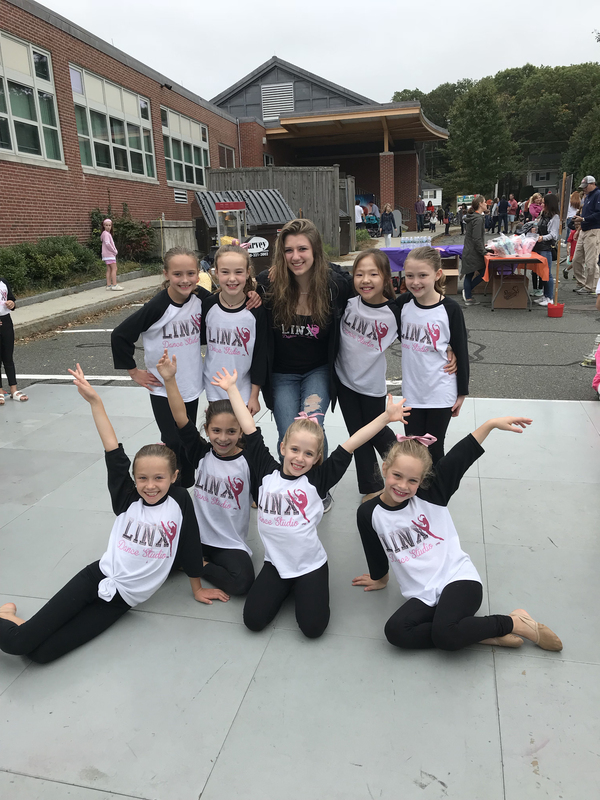 WELLESLEY, MA – October 30, 2018 – LINX Dancers of Wellesley, MA graced the Bates Pumpkin Fair on October 20th at the Bates Elementary School. 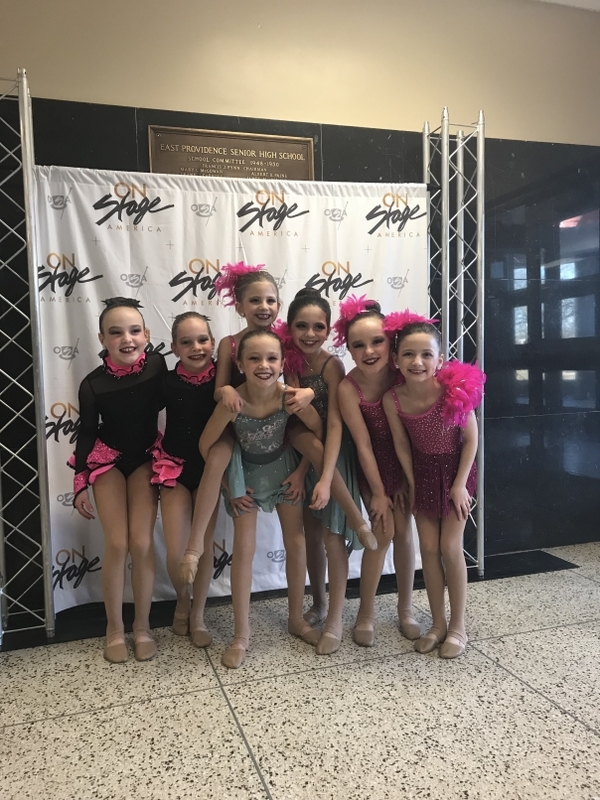 The 2nd – 5th grade dancers performed jazz, hip hop, and contemporary routines, as taught to them by older assistant instructors who are currently dancing in LINX’s Sr. Elite Company program. The children had fun dancing for family and friends who might not have had the opportunity to watch them perform at any other time throughout the year. “Our dancers love being able to perform for family and friends and enjoy the pumpkin fair with their loved ones after their performance,” said Emley. LINX has sponsored and performed at the event for eight years, this time contributing a dance floor, DJ, and MC. LINX made raffle donations of three certificates of $200 off LINX Summer Camp 2019 for a lucky winner and up to two friends, and a certificate for a month of any LINX Class. LINX Dance offers recreational and competitive programs on weekdays and weekends for children of all abilities in preschool through high school. Serving Metro West, LINX is now in its thirteenth year of operation. The main office is located at 141 Linden Street in Wellesley, MA. For more information about LINX Dance Studio or to register for classes and camps, visit http://www.linxdance.com or call 781-235-3210. 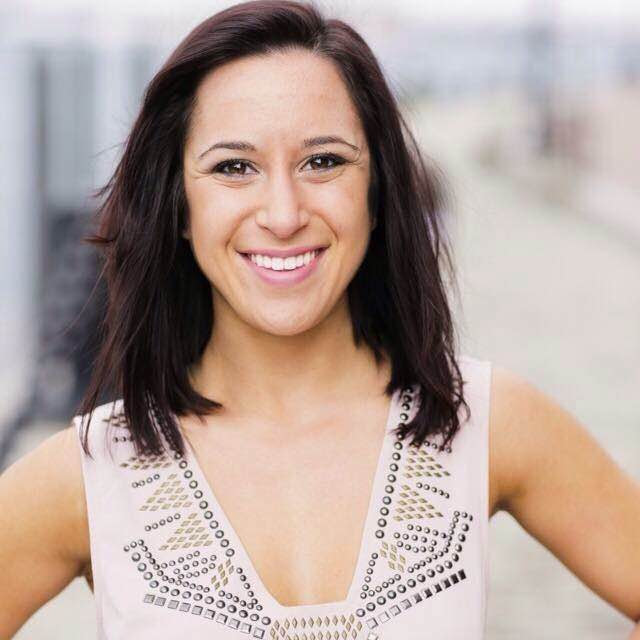 Wellesley, MA – August 31, 2018 – LINX Dance Studio is pleased to congratulate and announce that Dannea Reali has joined the Celtics Dancers for the 2018/19 season, in addition to teaching dance at LINX. Representing the Boston Celtics on and off the court, she will attend daily practices, learning fun new routines while also reviewing game day operations. The 18 dancers from across the country perform throughout each home game. They entertain the crowd in-between quarters, timeouts, and all other breaks during the game. At least 20 games will be nationally televised for the Boston Celtics this season, including the home game against the Philadelphia Sixers on Christmas Day. Reali will also attend promotional events in the Boston area representing the Boston Celtics. The opportunity to help young dancers grow at LINX since 2016 has fueled her passion for dance “even more than before,” and led to self-reflection with memories of her childhood dance studio, where her teachers impacted her life and are the reason why she is doing what she loves. “I can only hope to make this same positive impact on my students. I have always had the hunger to perform, as I have done so with other professional teams, but I knew that I needed more. The more experience I have, the more I can give back to my students in the future,” said Reali. As part of LINX’s pre-game performance program, which debuted in 2010, Reali coordinated, prepared, and choreographed for the performance at the January 2017 Celtics vs. New Orleans Pelicans game and the December Celtics vs. Phoenix Sun game at the TD Garden. “I had such a blast leading these dancers through this experience. I loved watching them work so hard in rehearsals and build excitement over the weeks leading up to the big performance. Fortunately, I was able to introduce the little dancers to the Celtics Dancers backstage. To this day, they tell me how incredible that night was and how nice the Celtics Dancers were to them,” said Reali. Additionally, at LINX, she is certified in the art of acrobatic dance and has taught jazz, hip hop, tap, and technique to dancers age 3 to 17. This season her focus will be on teaching and engaging dancers age 3 to 2nd grade and visiting local schools and preschools to help spread the love of dance to youth. Other achievements are a Bachelor of Science in Communications from Eastern Connecticut State University, professional experience including dancing for the UFL Hartford Colonials Cheerleaders and the WNBA Connecticut Sun Dance Team, and a former member of the MLL Boston Cannons Dance Team. LINX Dance Studio is certified by Acrobatic Arts and offers recreational and competitive dance classes for children age 3 through high school. Serving Metro West, LINX is in its twelfth year of operation providing fun-based classes and camps that specialize in dance, theater, sports, martial arts and STEAM. The main office is located at 141 Linden Street in Wellesley, MA. For more information about dance classes at LINX, visit http://www.linxdance.com or call 781-235-3210. Wellesley, MA – July 24, 2018 – Beautiful blue skies, temps in the low 80’s, and eager-to-learn LINX science campers greeted WBZ’s Chief Meteorologist Eric Fisher for his visit Monday afternoon, July 16th, at Regis College in Weston. "The best time to get someone interested in science is when they're most curious about how the world works...and the LINX camp is perfect for that! I'm always amazed how bright and inquisitive these kids are. Hopefully a couple become talented meteorologists that put me to shame someday," said Fisher. The 2nd – 8th grade campers were interested and asked a lot of questions about his background and different types of weather phenomena. The kids listened intently about how he got into meteorology, how it has changed since he started, and what his job entails. They learned that technology has changed how the job is performed today. Fisher emphasized some of the ways weather apps can be useful, like tracking storms on the go and getting immediate warnings anywhere in the country. This was Fisher’s 3rd year chatting with LINX’s young science campers. His passion for meteorology and helping kids understand and appreciate science and the world around them couldn’t be more clear. Serving Metro West, LINX is in its twelfth year of operation providing fun-based classes and camps that specialize in general, junior, dance, theater, sports, STEAM, and leadership. The main office is located at 141 Linden Street in Wellesley, MA. For more information about camps and classes at LINX, visit http://www.linx-usa.com or call 781-235-3210. 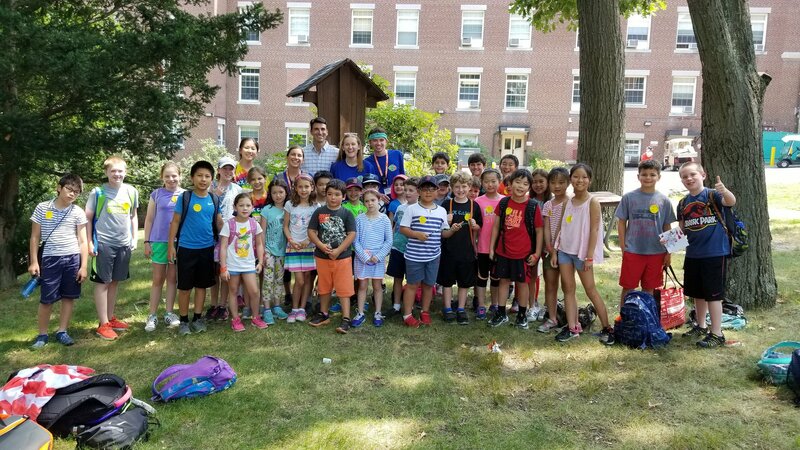 Wellesley, MA – July 6, 2018 – LINX Camps of Wellesley is a family favorite, voted by readers of Boston Parents Paper for the 6th year in a row. Each year votes are cast for family favorite local businesses in categories from summer camps and enrichment classes to doctors and photographers. 2018 marks the 6th consecutive year for LINX Camps and 5th year in a row for LINX Dance to be recognized as #1, with dance camp and jazz classes taking the lead this year. It is LINX’s 2nd year in a row for #1 Dance and Ballet Summer Camps and 3rd year in a row for #1 Jazz Class. LINX Camps is recognized as a top 5 winner for general and traditional, performing arts, academic, sports, arts and crafts, culinary, preschool age, and teen-focused categories. Top 5 wins in the classes category include enrichment and after-school programs, theater, martial arts, dance, hip hop, and tap. LINX Camps is a leader in providing a premier camp experience for kids age 3 to 15, led by expert counselors with a 1:5 counselor to camper ratio. Children are free to have fun, learn, and try new things in a safe and inclusive environment. Wellesley, MA – June 29, 2018 – Wicked Local has announced that for 2018 LINX Dance Studio was voted #1 gymnastics school in Wellesley and won the regional bronze award for the most votes in Wellesley, Needham, and Newton combined. Readers of Wicked Local have been voting for their favorite local businesses for over 20 years, and communities have come to recognize and value the coveted gold star certificates proudly displayed on the walls of winning businesses. “This award is a great honor and we are very proud to be an Acrobatic Arts certified studio. Our certified teachers are a huge asset to our flourishing acrobatics program and enhance the overall dance program with their excellent instruction. We are looking forward to continuing to grow in this field,” said Heather Emley, LINX Dance Director. LINX Dance has been certified by Acrobatic Arts for 2 years and is the only studio in Wellesley with this status. The training that comes with certifications helps ensure that dance programs are safe and effective for young dancers as they learn acrobatic elements in choreography. The studio offers recreational and competitive dance classes for children age 3 through high school. Serving Metro West, LINX is in its twelfth year of operation providing fun-based classes and camps that specialize in dance, theater, sports, and STEAM. The main office is located at 141 Linden Street in Wellesley, MA. For more information about dance classes at LINX, visit http://www.linxdance.com or call 781-235-3210. 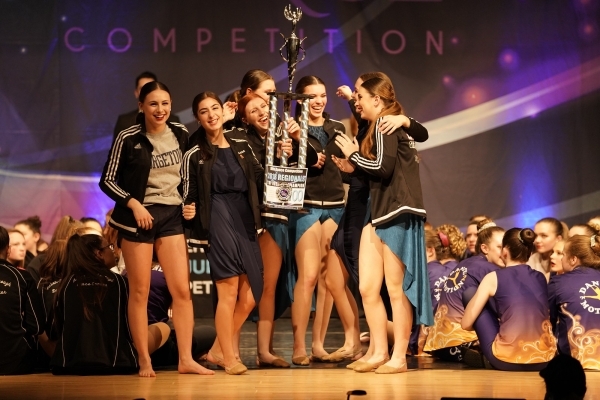 WELLESLEY, MA – May 16th - LINX Dancers of Wellesley won top awards, including the Association of Dance Conventions and Competitions’ Studio of Excellence Award, at the Diva Dance Competition May 5th – 6th at Northampton High School. The ADCC promotes quality, integrity, and opportunity in competitions and conventions. LINX also won the award last year at the Turn It Up Dance Challenge in Bellingham. “The dancers had a great final competition last weekend. Getting the ADCC Award was a testament to our hard work as a team and was a great capstone on a very successful season,” said Heather Emley, LINX Dance Director. LINX’s 5 – 16-year-old dancers experienced live judging while still on the stage, which provided valuable immediate feedback to help them improve in subsequent dances. LINX is in its eleventh year of operation providing fun-based classes and camps that specialize in dance, theater, sports, and STEAM. The main office is located at 141 Linden Street in Wellesley, MA. For more information about LINX Dance Studio, visit http://www.linxdance.com or call 781-235-3210. WELLESLEY, MA – May 4th - LINX Elite Company Dancers of Wellesley won the award for the highest scoring dance of the entire Diva Dance Competition, among other top awards, with their performance of Free Animal at Amesbury High School, Amesbury, MA April 28th – 29th. LINX Elite Company and Jr. Company dancers performed at the event. “I am so proud of how all the dancers have worked together this season as a team to support each other. 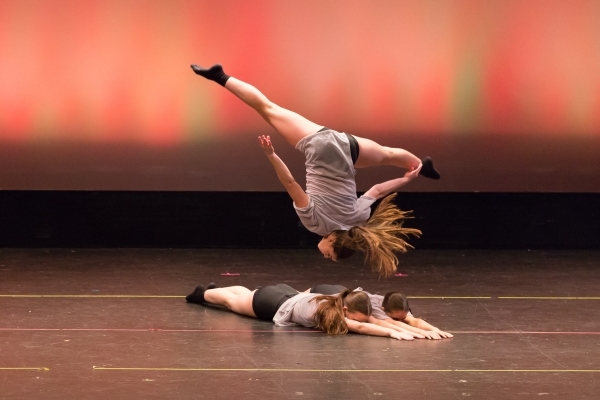 These dancers have been dancing together for so long and it's great to see them grow both as dancers and young adults, ” said Heather Emley, LINX Dance Director. LINX’s 10 – 17-year-olds experienced live judging while still on the stage, which provided valuable immediate feedback to help them improve in subsequent dances. 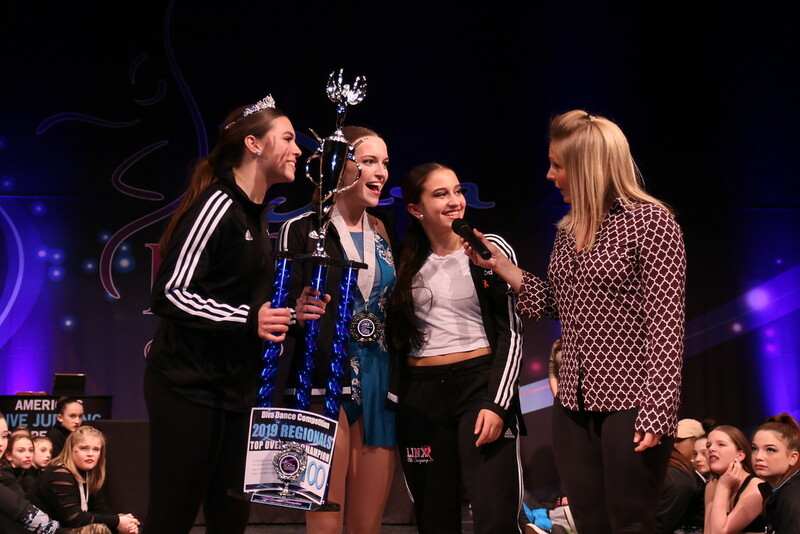 WELLESLEY, MA – April 16th - LINX Dancers of Wellesley competed with 9 other studios in the On Point Dance Competition at Bellingham High School, April 6th – 8th, winning Dynamic Awards and more. This was the first time LINX dancers competed at the event. 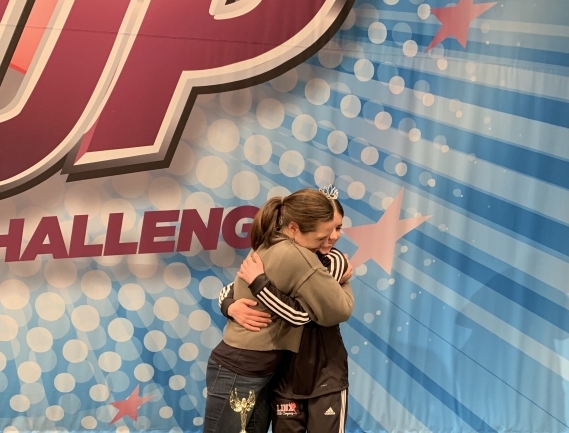 “Our dancers had an amazing performance at this competition and they were so supportive of one another, cheering each other on and representing the studio in such a positive way,” said Heather Emley, LINX Dance Director. 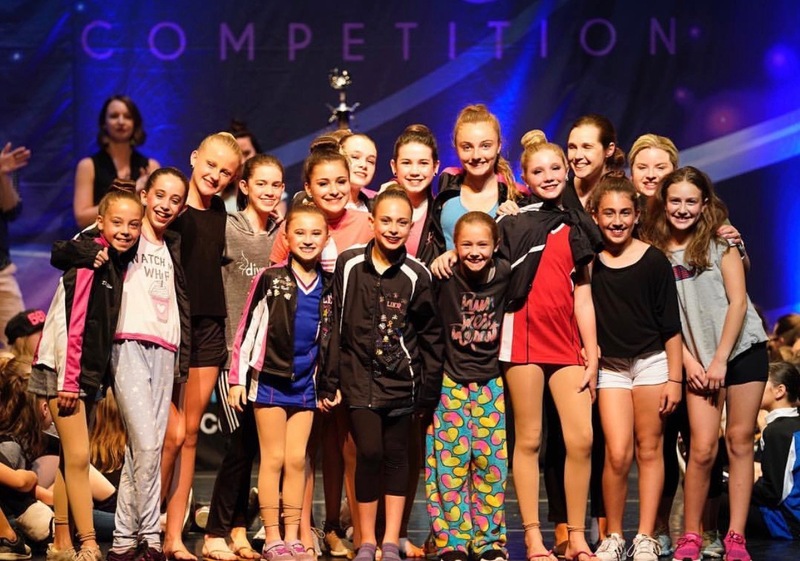 The 5 to 16-year-old LINX Team and Company dancers were awarded the following, including Dynamic Awards, which ranked the top dances in each style for the entire weekend. LINX is in its eleventh year of operation providing fun-based classes and camps that specialize in dance, theater, sports, STEAM and early childhood programming. The main office is located at 141 Linden Street in Wellesley, MA. For more information about LINX Dance Studio, visit http://www.linxdance.com or call 781-235-3210. WELLESLEY, MA – April 13th – Rhys Thomas brings soccer and IT expertise along with his much loved British accent and fun loving attitude back to LINX Camps for a second summer, as Soccer and IT Camps Coordinator for 2018. Coming from the UK, Thomas continues to bring cultural diversity and leadership to the Wellesley campus at Dana Hall. 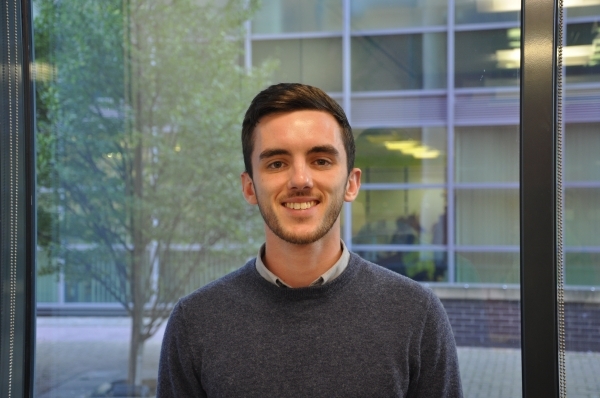 Thomas is a 2017 graduate of The University of Sheffield (South Yorkshire, England) with a BA in Business Management with Employment Experience. He’s been a passionate soccer player since the age of 6 (playing every chance he gets), led training sessions, ran competitions at school, and was the captain of his team for many years. During the non-summer months, Thomas worked as a Project Manager in a team of web designers and developers, fine-tuning his leadership skills. Teamwork is the key to his success both in and out of work, and a vital part of working at LINX. Thomas’ proven ability to engage the kids in fun, learning, and all-around good sportsmanship are complemented by his personal mantra, “giving your all is far more important than winning.” Like his role model Maya Yoshida, a Southampton soccer player, you can count on Thomas to give his best and set an example. “So many soccer players these days have a big ego and think they’re bigger than the team, but Maya just keeps his head down, works hard for the team and always steps in when he’s needed. He’s a prime example of what all professional sports players should strive to be like, and I always try my best to work and give my all for my team in the same way.” Thomas looks forward to sharing his passion for soccer and encouraging campers to love the game as much as he does. “Rhys is a proven leader at LINX Camps and we are excited to have his soccer know how and coaching talents leading the path for summer 2018. His ability to create positive teams, combined with his ability to break soccer skills down to the fundamentals, make Rhys the perfect person to lead the charge on the soccer fields this summer,” said Josh Schiering, Executive Director of LINX Camps. Serving Metro West, LINX is now in its twelfth year of operation. The main office is located at 141 Linden Street in Wellesley, MA. For more information about LINX Camps or to register for classes and camps, visit http://www.linxcamps.com or call 781-235-3210. WELLESLEY, MA – April 6th – Jen Downin returns to LINX Camps as the Junior Camp Director for 2018, ready to lead the charge in providing the best experience in a wide range of full and half day programs for our youngest campers, 3 years through 1st grade. With her degree in Early Childhood Education, Jen brings over 20 years of skill and self-assurance working with children. She is EEC Director certified, a children’s certified yoga teacher, and former pre-school owner. Her professional background includes teaching at preschools, private elementary schools, libraries, and daycare facilities, and the development of a gross motor movement program for a daycare. 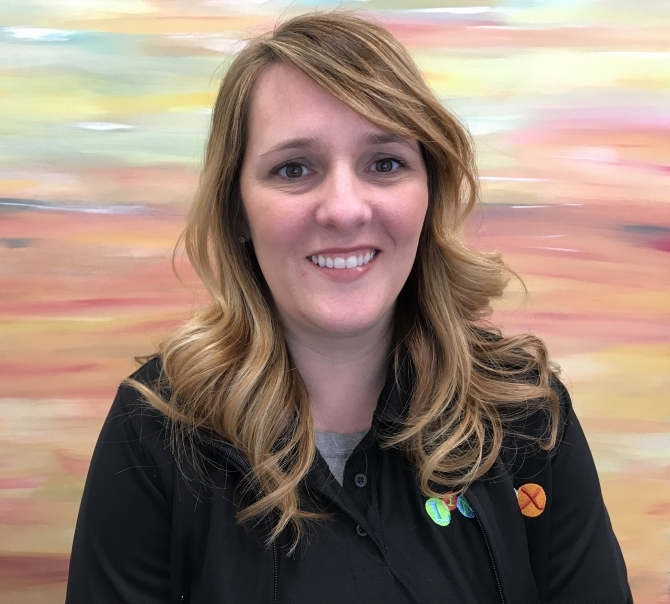 Jen is enthusiastic for her new role this summer and shares the same goals and values as LINX, “My plan for the junior division is to capitalize on each child’s love of learning, natural curiosity and desire to have fun! Our team will provide each camper with engaging curriculum and activities designed to meet the growing needs of each individual. 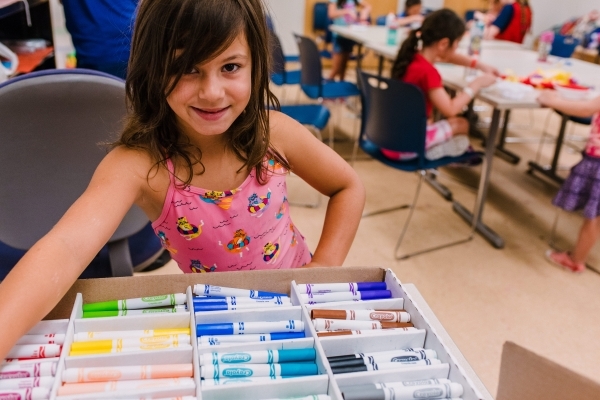 We will incorporate art and science into their daily play and use a wide variety of indoor and outdoor play equipment.” LINX exposes junior campers to a wide range of activities in a safe learning environment. While at LINX Camps the children learn through play while building confidence, self-esteem, and relationships in a caring and nurturing environment. “We are so excited to have Jen Downin take the lead in the Junior Division. As a mom of five, former pre-school owner and dedicated youth professional, she is staged to lead her team to new heights while giving each family, and camper, the love, attention and enriching experience they deserve!” said Josh Schiering, Executive Director of LINX Camps. Serving Metro West, LINX is now in its twelfth year of operation. The main office is located at 141 Linden Street in Wellesley, MA. For more information about LINX Camps or to register for classes and camps, http://www.linxcamps.com or call 781-235-3210. 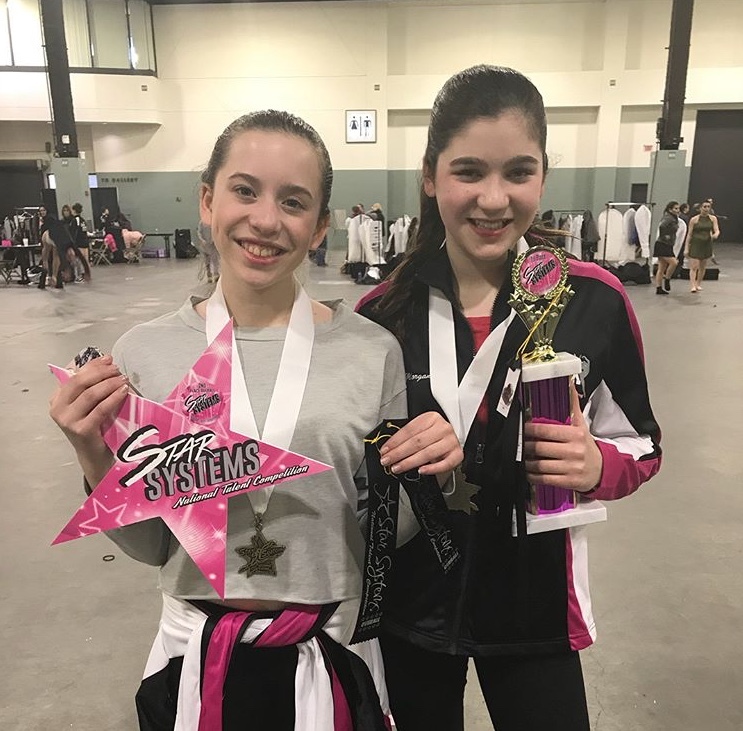 WELLESLEY, MA – April 2nd - LINX Dancers of Wellesley competed in the Star Systems National Talent Competition at the DCU Center in Worcester, March 23rd – 25th. It was their first time competing at the event, and the first time the entire team performed together on stage this year. “The dancers did an amazing job dancing together on stage as a full team for the first time this year. They showed a lot of studio unity and support for each other. It was a great start to our season as a team,” said Heather Emley, LINX Dance Director. Emley said the dancers learned a lot and obtained great feedback from the judges to improve for the rest of the season. LINX Dance Studio will be holding auditions, open to the public, for the Fall 2018 competitive dance season on May 15th, 17th, and 18th. For information or to register, visit http://www.linxdance.com/auditions. WELLESLEY, MA – March 26th – Paul Melicharek will bring professional football experience to his new role as Sports Supervisor for LINX Camps 2018. He is the newest member of the camp’s Sports Advisory Team at the Dana Hall campus in Wellesley. Melicharek is a graduate of Bridgewater State University, and was the football team’s Defensive Lineman (2009 to 2012), winning awards that included 2-time Defensive Player of the year and MVP. His professional sports accomplishments include playing Defensive Lineman, Fullback, and Team Captain (2012 – 2014) for Green Bay Blizzard, a professional indoor football league based in Wisconsin. In 2015 he was a fullback and part of the playoff-qualifying team for the Lehigh Valley Steelhawks. After playing professional football, Melicharek went on to coach the defensive line at Glen Rock High School in Glen Rock, New Jersey, paving the way to a State Championship qualifying team. In 2016 he was the Defensive Line Coach at Milford High School, again launching a team into the playoffs. As Division 3 Defensive Line and Strength Coach in 2017 for Dean College, Franklin, Massachusetts, Melicharek led his players to finish #2 in the league. Sports and leadership are Melicharek’s lifelong passions, making him an ideal, wholehearted Sorts Supervisor at LINX Camps. “To pass that on to others and to see them grow is what I truly look forward to every day of my life. I just can’t wait to have fun, day in and day out, and learn a lot of things along the way!” said Melicharek. "When I met Paul, I knew right away he had the right stuff for LINX Camps. His knowledge of all sports is evenly matched with his focus on teamwork and building groups focused on good sportsmanship and inclusion." ~ Josh Schiering, Executive Director of LINX Camps. WELLESLEY, MA – March 16th – LINX Basketball campers will be thrilled to know their favorite guest coach is back for more fun this summer during the weeks of 8/6 and 8/13 at the Dana Hall Campus in Wellesley. 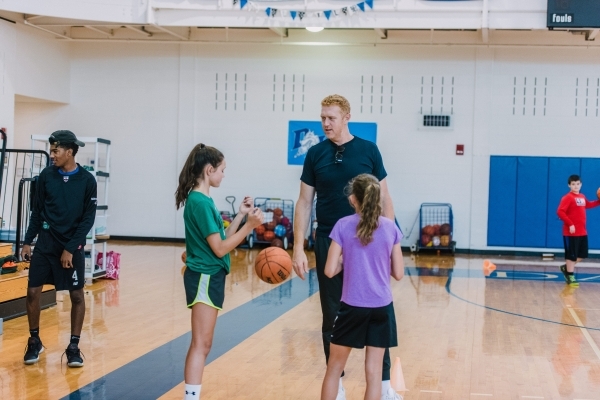 Brain Scalabrine’s high energy, hands-on expert instruction, and participation in all things camp make him an ideal role model for sports-loving campers. Scalabrine will coach 2nd – 8th grade basketball campers, who’s day typically includes 3 daily periods of the sport, lunch, swim (including Red Cross Certified instruction), a bonus camp activity and traditional camp-wide activities. WELLESLEY, MA – March 9th - LINX Dancers of Wellesley won awards at the Showstoppers Dance Competition at Foxwoods Resort Casino, Mashantucket, CT, February 23rd – 25th. “We had a really fun weekend with our dancers at Showstoppers. They gave amazing performances and I’m really proud of their scores and placements,” said LINX Dance Director Heather Emley. Winners enjoyed seeing footage of their dances displayed as they received their awards. 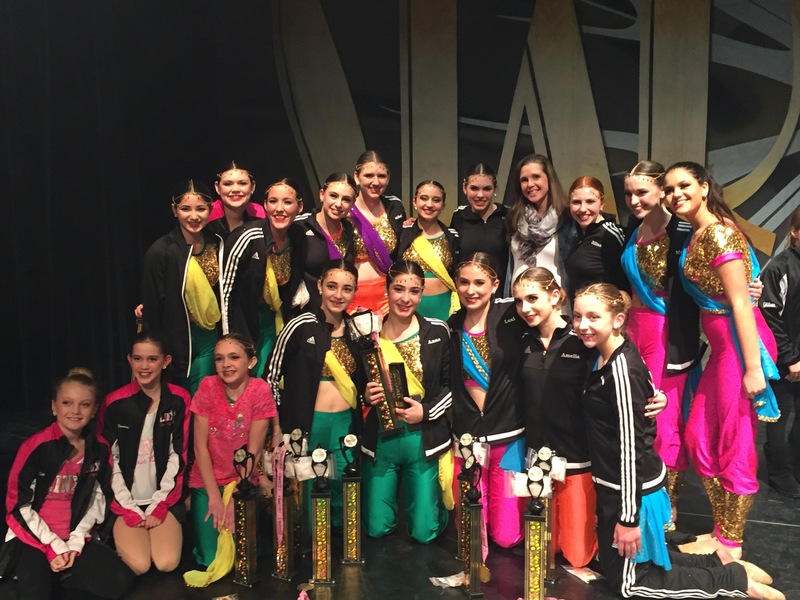 WELLESLEY, MA – March 6th - LINX Company Dancers returned to win top awards at the Starbound National Talent Competition, February 16th – 17th at East Greenwich High School, East Greenwich, RI. 5 to 18 year olds from approximately ten schools competed, some wearing orange ribbons on their jackets or on stage to honor the memory of a recent Florida school shooting victim who had danced in past Starbound competitions. “The girls wanted to honor her memory. It was inspiring for the dancers to be a part of the larger dance community coming together at this event,” said LINX Dance Director Heather Emley. Emley said the dancers performed very well and she is proud of their placements and accomplishments at the competition. LINX placed 1st for Top Teen Elite Soloists, Top Senior Competitive Soloist, and Top Junior Petite Competitive Duet/Trio. The dancers also placed 2nd, 3rd, 5th, 7th, 9th, and 10th for top Junior Elite Soloists, and 5th for Top Senior Elite Soloists. The competition provided the dancers, age 7 to 16, with an opportunity to perform for a judging panel before larger competitions later in the spring. 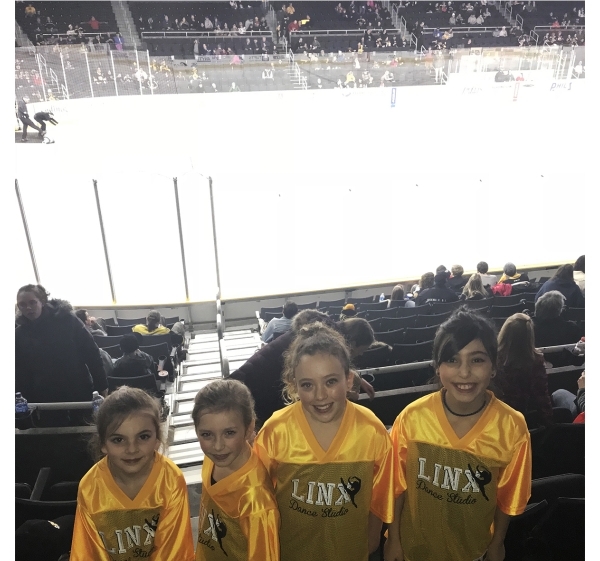 WELLESLEY, MA – February 22nd – LINX Dancers of Wellesley took to the concourse with a high-spirited, bold performance of #ThatPower during intermission at the Dunkin Donuts Center on Sunday, 2/11 for the Providence Bruins vs. Wilkes-Barre Scranton Penguins game in Providence, RI. The dancers where thrilled to perform their 3-minute routine twice to the delight of fans, and of course their parents, in such a large arena. “We were so excited to perform at this event for the first time and hope to continue this relationship with the Bruins for years to come. Our dancers showed a lot of poise dancing in a large arena and I’m very proud of their accomplishments!” said LINX Dance Director Heather Emley. The event aligns with LINX’s goal of offering more opportunities for dancers to perform in the community. Most of the dancers take part in the dance studio’s recreational program, and the experience helps them practice learning choreography with the chance to perform outside of a yearly dance recital. Serving Metro West, LINX is now in its twelfth year of operation. The main office is located at 141 Linden Street in Wellesley, MA. For more information about LINX Dance Studio or to register for classes and camps, visit http://www.linxdance.com or call 781-235-3210. 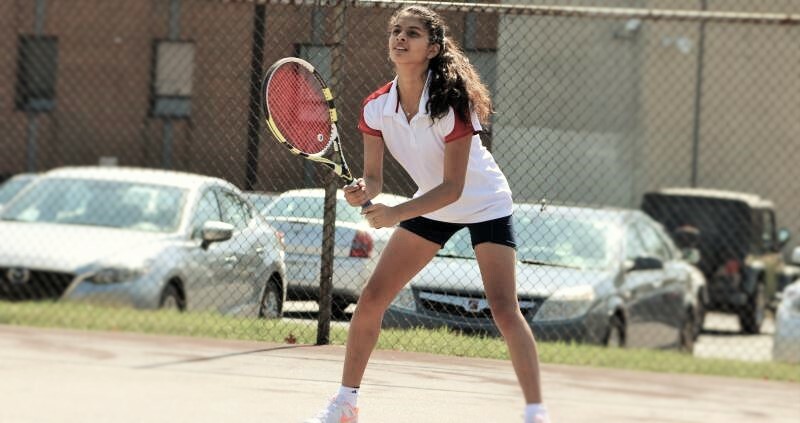 WELLESLEY, MA – February 13th – LINX Camps welcomes international student-athlete from India, Aayushi Chouhan, to LINX Camps as Head Tennis Coach for summer 2018 at the Dana Hall campus in Wellesley. Chouhan is a junior studying sport management at Delaware State University (DSU) and plays tennis for the school (Division I) on a full scholarship. Chouhan is excited about her new head coach role, "I have spent most of my entire life training and playing tennis, it is a life passion. While I have had the unique opportunity to be coached by some of the best coaches in the world, I look forward to bringing my knowledge to LINX Camps to help each camper maximize their skills, while having fun and the best summer ever!" Chouhan holds a record of 6-2 overall in singles and plays at no. 1 in doubles. While she was in India, she became Chhattisgarh State Tennis Champion for 9 consecutive years and won 8 national titles. Her career in sport started with Table-tennis (TT/ping-pong) when she was 5 years old. She played TT at amateur level and was state champion for 5 years. She later shifted to Tennis as she found it more interesting. Aayushi has also participated in the National Games of India 2015 (also known as Olympics of India because if its concept, set up, and is the highest level of championship for any sport in India) in the discipline of Squash (racquetball) as the team captain of her state. At DSU, she recently became HBCU All-American athlete during the HBCU National Championship. Aayushi's father was her coach for both TT and Tennis in India, while at DSU, she played under Coach Dave Marshall who is also one of the coaches of the "Bryan Brothers" (World no.1 doubles pair from the USA), and Coach Ellis Ferreira, former professional tennis player who won 2 Australian Opens in doubles and was a runner-up in the US Open (2000). She is majoring in Sport Management and desires to work in the International Olympic Committee (IOC). Aayushi is excited to be a part of the LINX Camps family as Head Tennis Coach and is looking forward to making new friends and meet new kids. WELLESLEY, MA – February 8 - LINX Camps has expanded its partnership with Regis College in Weston for the 2018 summer camp season. The expansion provides LINX Camps with more amenities, and as a result, LINX’s Adventure programs will run in addition to the popular STEAM camps introduced to the campus last year. Amenities include access to their state-of-the-art pool, gymnasium, dining hall and meal plan, and much more. Additional benefits to LINX Camps families include improved transportation, which means direct bus transportation to Regis for all Adventure and STEAM campers, eliminating the need for a round trip shuttle bus from the Dana Hall campus. Transportation is still provided for any family wanting to keep their Dana Hall drop-off location. Adventure and STEAM campers will also enjoy opening and closing ceremonies and Friday Special Events, at one location. "We are very proud of our expansion in Weston for our STEAM and Adventure Camps. We are staged to give our families a premier experience matched by superior facilities. This change also enables us to continue with our mission of providing a small and personalized experience for everyone we serve." shares Josh Schiering, Executive Director of LINX Camps. Serving Metro West, LINX is now in its twelfth year of operation. The main office is located at 141 Linden Street in Wellesley, MA. For more information about LINX Camps or to register for camps visit http://www.linxcamps.com or call 781-235-3210. WELLESLEY, MA – February 2nd - LINX Dancers of Wellesley took their performances on the road to the OnStage America Competition at the East Providence High School in East Providence, RI, winning top awards on January 26th to 28th. LINX Dance Studio and Dance Director Heather Emley received the award for the studio with the best technique in the junior age group, and the studio’s dancers age 7 – 16 won 6 special judges awards, 3 first place overall routines, and 5 diamond scores. Additionally, 5 LINX dancers placed in the runner-up position for Miss OnStage America. Approximately 9 other dance schools competed. “I’m proud of the accomplishments of our dancers at this competition. They did a great job representing our studio with impressive technical performances and positive attitudes throughout the event. I’m looking forward to a successful competition season ahead!” said Emley. The competition was the studio’s first of the season, and first time performing at OnStage America. LINX is in its eleventh year of operation providing fun-based classes and camps that specialize in dance, theater, sports, STEAM and early childhood programming. The main office is located at 141 Linden Street in Wellesley, MA. For more information about LINX Dance Studio, visit http://www.linxdance.com or call 781-235-3210. 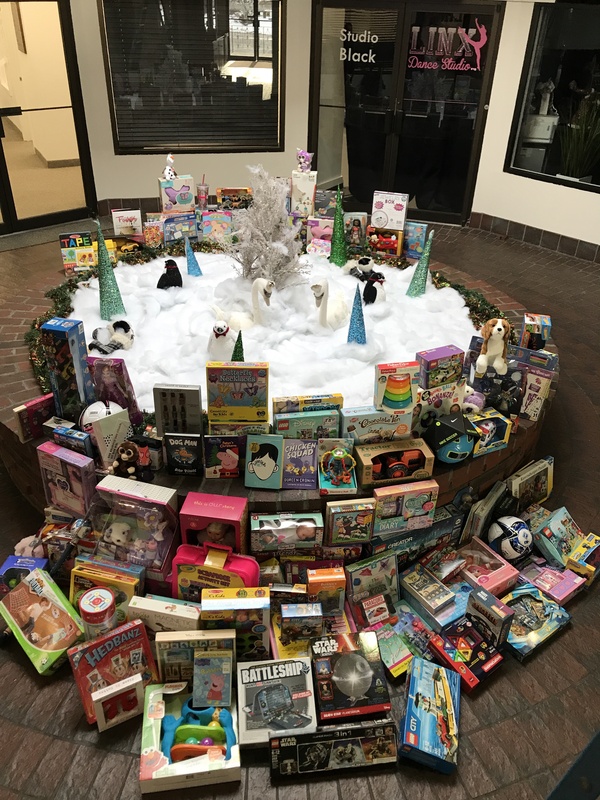 WELLESLEY, MA – December 20th – LINX’s lobby on Linden Street was once again a display of the generosity of the Wellesley community, as LINX members donated a flood of pure unwrapped fun, including games, Legos, books, baby toys and so much more to the Toys for Tots program earlier this month. “We’re just so grateful that we have such outstanding members who donated all this to kids in need,” said Joseph Kahn, Owner and Founder of LINX. The organization continues to be an official drop off location for the charity. For more information about Toys for Tots, visit https://toysfortots.org. Serving Metro West, LINX is now in its twelfth year of operation. The main office is located at 141 Linden Street in Wellesley, MA. For more information about LINX or to register for classes and camps, visit http://www.linx-usa.com or call 781-235-3210. 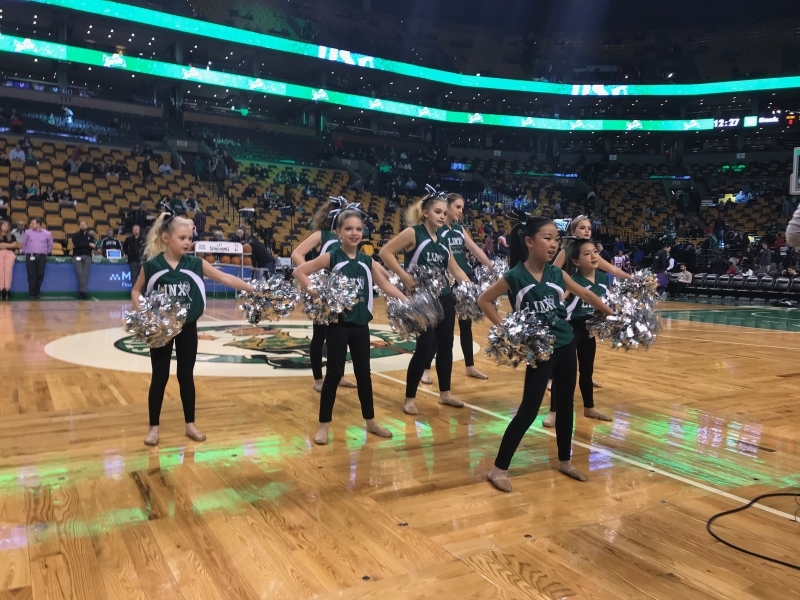 WELLESLEY, MA – December 7 – LINX Dancers of Wellesley hit the parquet floor of the TD Bank Garden with a lively pre-game performance at the Boston Celtics vs. Phoenix Sun Game on December 2nd. The dancers, 3rd – 8th grade, enjoyed their chance to shine in front of fans during their 3-minute performance of a remix, Walk This Way. Before the performance, the Celtics dance team coach met with the girls briefly on the side of the court, wishing them luck. The girls especially liked going back stage to see the players and cheerleaders getting ready for the game. As LINX prepares for upcoming dance competitions, they see the opportunity as a means for children to hone their performance skills in a large venue while having fun. “As a studio, we are constantly looking for new and exciting opportunities to help our dancers grow, and this event has always been such a positive experience. Dancing in a large venue like this inspires them to see just how far their dancing can take them. I’m so proud of their performance and look forward to continuing to perform at the Celtic’s games for years to come,” said LINX Dance Director Heather Emley. The dance marks the seventh time LINX dancers performed at a Celtics pre-game. Serving Metro West, LINX is now in its twelfth year of operation. The main office is located at 141 Linden Street in Wellesley, MA. For more information about LINX Dance Studio or to register for classes and camps, visi http://www.linxdance.com or call 781-235-3210. 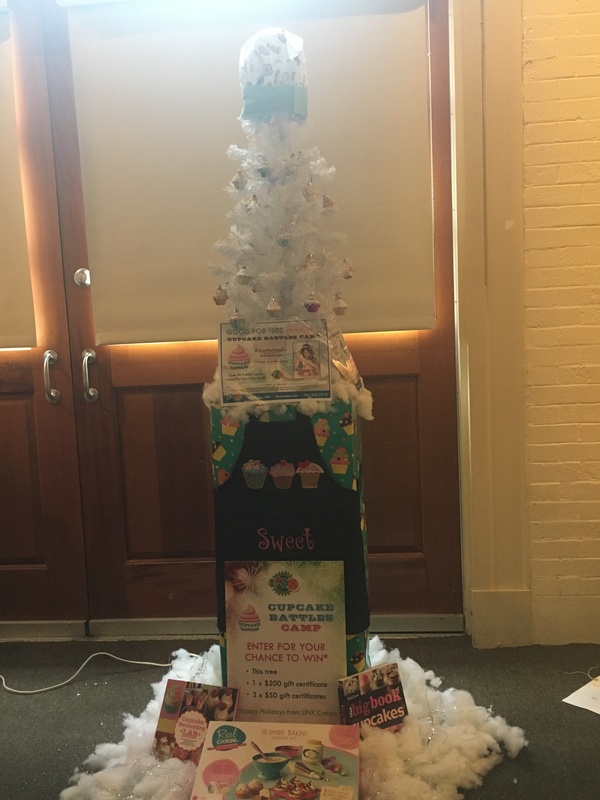 WELLESLEY, MA – November 30, 2017 – LINX Camps of Wellesley is sharing the joys of its most popular camp this year at Mass Hort’s Festival of Trees in Wellesley (November 24th – December 10th) with its donation of a 3 foot, white iridescent tree adorned with all things Cupcake! In addition to the cupcake ornaments, baker’s hat, apron and white lights, the tree comes with gift certificates for Cupcake Battles Camp (one $200 off one week and three $50 off one week), 2 cupcake cookbooks, and a Real Cooking Ultimate Baking Starter Set (37 pc.). Serving Metro West, LINX is now in its twelfth year of operation with over forty premier camps. The main office is located at 141 Linden Street in Wellesley, MA. For more information about camps and classes at LINX, visit http://www.linx-usa.com or call 781-235-3210. 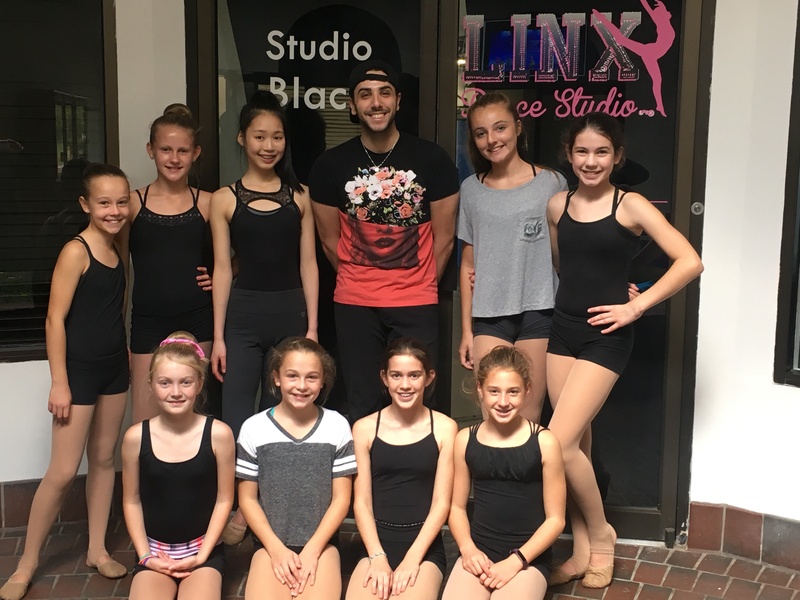 WELLESLEY, MA – November 20th – LINX Dancers enjoyed learning their competition dances from NYC choreographer Joey Ortolani on October 14th and 15th and November 18th and 19th at LINX Dance Studio in Wellesley. 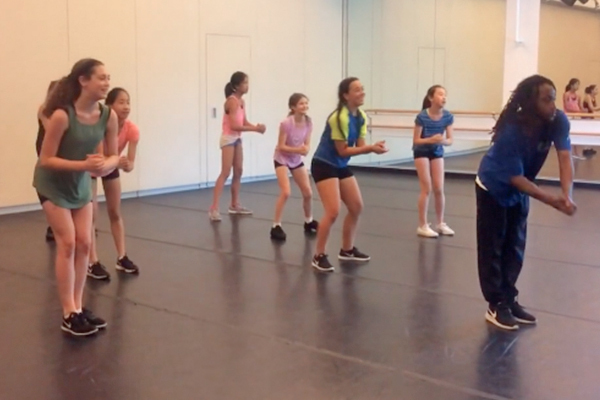 LINX’s Dance Director Heather Emley, who continuously looks for new learning opportunities for the dancers, said the excitement of working with someone they were not used to working with helped the girls to pick up the choreography quickly. Ortolani will choreograph a total of 4 competition dances for the season. “Having Joey introduced our students to a new style and new learning experience. 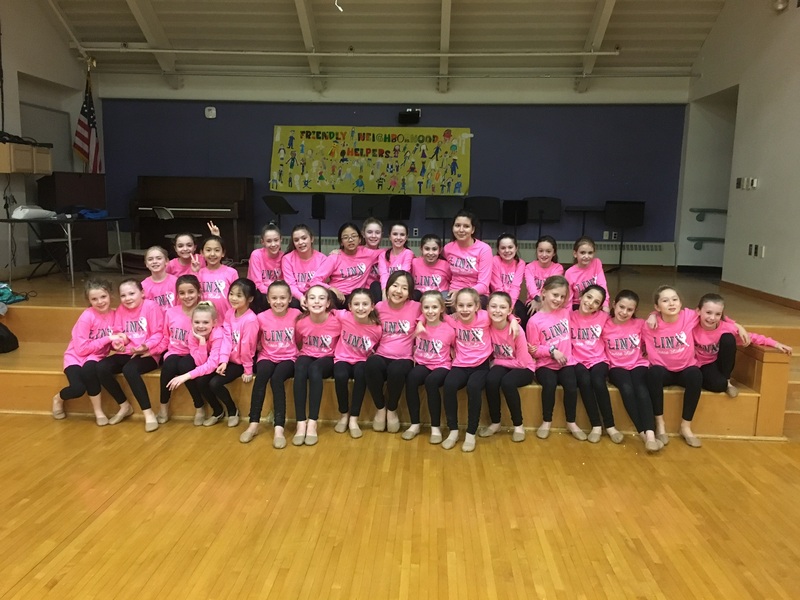 This experience motivated the girls to learn an entire routine in a short period of time.” So far, the girls learned 2 dances during the 2 four hour rehearsals with Ortolani. WELLESLEY, MA – November 9 – For a second year, LINX of Wellesley helped sponsor Circle of Hope’s Full Circle event on Saturday, November 4th on the Needham Common. 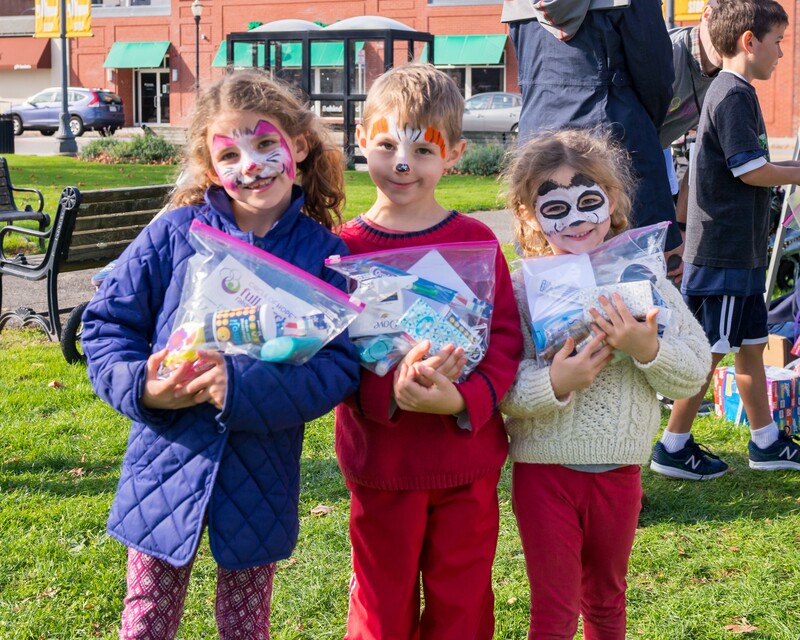 Many families volunteered their time to help teach their young children about giving back by participating in 6 stations that focused on creating care packages for the homeless. Families and children assembled warm up bundles (hats, scarves, gloves and socks), filled backpacks with blankets, socks, and hand warmers, decorated toiletry kits, and much more. Circle of Hope is a Needham based non-profit that supplies clothing and other necessities to homeless people and families in and around Boston. “The Full Circle team was excited to return for a second year to provide a venue and opportunity for families to experience philanthropy in action. It was an inspiring day watching young children run from station to station wanting to do more to make a difference!” said Christine Holland, Full Circle Planning Committee. LINX is an official drop-off location for Toys for Tots! WELLESLEY, MA – November 8th – If you’re looking for a place to bring your Toys for Tots donation, LINX headquarters at 141 Linden Street in Wellesley, MA will have a giant gift box in the lobby until December 15th for contributions of new, unwrapped toys. Help spread the joy! 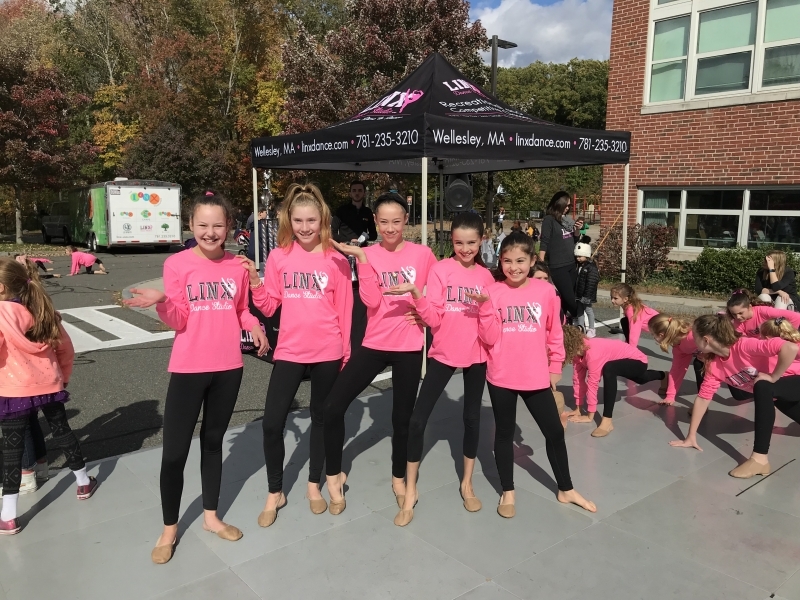 WELLESLEY, MA – October 18 – LINX Dance of Wellesley, MA was once again an active sponsor of the Bates Pumpkin Fair, held on Saturday, October 14, 2017 at the Bates Elementary School in Wellesley. LINX Dancers in 2nd – 5th grade performed a mix of jazz and lyrical style dances, mostly choreographed by the dancers in LINX’s Sr. and Elite Company programs. The unwelcome rain moments before the first group’s performance provided a unifying opportunity for the staff and dance families, as they came together to quickly relocate the dancers and equipment to the school gym, where each group performed with unwavering determination for a packed crowd that included their school friends and families. “LINX Dance Studio absolutely loves participating and sponsoring the Bates Pumpkin Fair. It’s a great event that brings the Wellesley Community together for one cause. Our dancers love it because they get the opportunity to perform for their community and help raise awareness for Bates Elementary School. We hope to be a part of this annual event for years to come!” said LINX Dance Director Heather Emley. Along with providing a dance floor, DJ and MC, LINX donated gift certificates for a free month of a dance class, $200 off a week of camp 2018, and $125 off a class to lucky raffle winners. 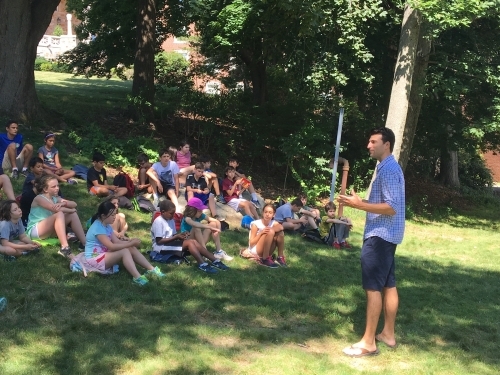 Wellesley, MA – July 27, 2017 – Blue skies and low humidity made the ideal backdrop for WBZ’s Chief Meteorologist Eric Fisher’s highly anticipated presentation to LINX science campers on Friday morning, July 21st, on a grassy knoll of Regis, a leading Catholic university in Greater Boston located in Weston. Fisher shared his thoughts with campers, “Growing up here I used to love the storms. I would go out to the front porch to feel the wind and watch the lightning.” The kids (2nd through 8th grade) were excited and curious, and asked about tornados and hurricanes during the 45-minute presentation. He spoke about a typical day for a meteorologist and explained how he tracks the weather, with detail on how radar works and how it helps him track the weather. Serving Metro West, LINX is now in its eleventh year of operation providing fun-based classes and camps that specialize in dance, theater, sports, STEAM, and early childhood programming. The main office is located at 141 Linden Street in Wellesley, MA. For more information about camps and classes at LINX, visit http://www.linx-usa.com or call 781-235-3210. Wellesley, MA – July 10, 2017 – LINX and LINX Camps of Wellesley, MA won Boston Parents Paper’s Family Favorite Award in 18 categories this year, up from 10 in 2016. Each year, readers of Boston Parents Paper vote for their family favorite local businesses in categories from summer camps and enrichment classes to orthodontists and photographers. The winners are published in a special issue available online to the community. “We are beyond excited and honored to be #1 in the hearts of so many again. The best way to enrich a community is by putting families first, and we do this in all aspects of our camp and class programs. Summer at LINX Camps this year is no exception and we can’t wait for all the fun to begin!” Said Joe Kahn, Owner and Founder of LINX. 2017 marks LINX’s 4th year in a row winning Best Dance Studio, and 3rd year in a row winning Best Tap Class, Martial Arts Class, and Science and Technology Class. Additionally, LINX placed in the top 5 for academic summer camps, school vacation camps, art classes, sports classes, parent-friendly playdate spots, science technology and digital arts summer camps, and gymnastics classes. Serving Metro West, LINX is in its eleventh year of operation providing fun-based classes and camps that specialize in dance, theater, sports and early childhood programming. The main office is located at 141 Linden Street in Wellesley, MA. For more information about camps and classes at LINX, visit http://www.linx-usa.com or call 781-235-3210. 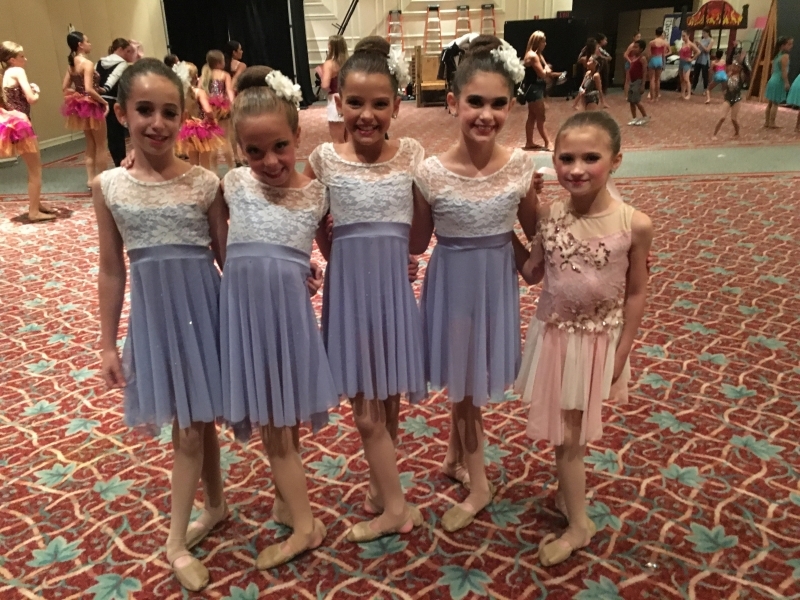 WELLESLEY, MA – July 7th - LINX Dance Studio won awards at Starbound National Talent Competition’s 2017 National Finals June 25th – June 28th at Foxwoods Resort Casino in Connecticut. LINX dancers, age 8 - 16 competed with more than 10 other talented dance studios across MA, NY and NJ during the three full days of competition. While LINX attended regionals in previous years, this was their first time at Starbound’s National Final Tour. LINX’s performance of Stimela won the highest score in the Senior Elite Duo/Trio Contemporary category, received a special judges award for “Great Musicality,” and placed 1st Overall for Senior Elite Duos/Trios for the entire competition. Some of LINX’s dancers were invited to perform at the “Winner’s Performance” on the last day of Nationals, where they danced a routine one last time, cheered on by the judges. One of the judges gave Stimela (Elite Co. trio) a standing ovation, adding to the excitement of an already memorable week. Three LINX dancers were honored to take part in the “Miss Star of Hope” program, a rewarding banquet style event with all proceeds donated to the Dancers Care Foundation. WELLESLEY, MA – June 23 - LINX Dance Studio of Wellesley ranks in the top 19 Best Dance Teachers in Boston, receiving the award for 2017 by Expertise.com. Expertise is an online company helping people connect with the best local experts across the US in many categories including dance education. “We are happy to be recognized as one of the top studios for best dance teachers in Boston. Our instructors are experienced performers, dancing at a professional level. They are passionate about teaching proper technique in a safe environment to both competitive and non-competitive dancers,” said Joe Kahn, Owner and Founder of LINX. Expertise rated 155 dance teachers on more than 25 variables across 5 categories, which included reputation, credibility, experience, availability, and professionalism. Studio of Excellence Award: March 2017 at Turn It Up Dance Challenge in Bellingham, MA. 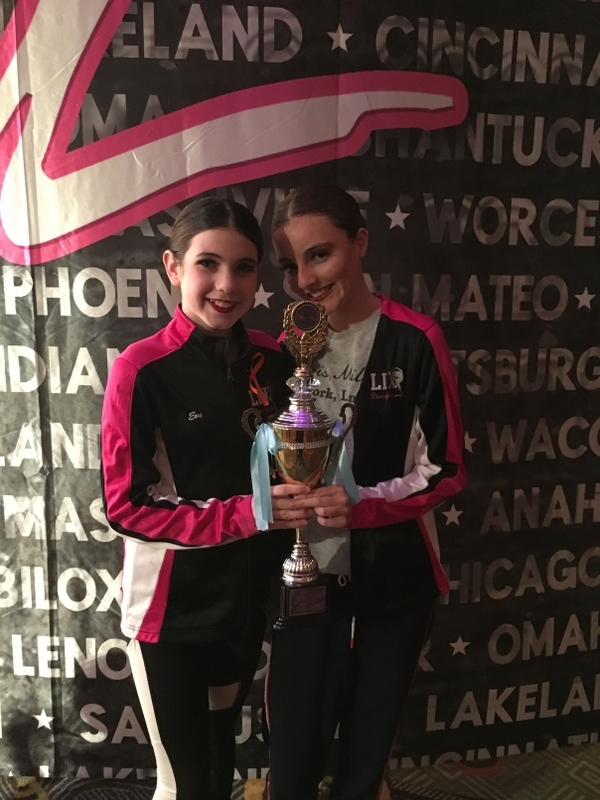 Class Act and Sportsmanship Award: May 2017 at World Class Talent Experience in Tolland, CT.
LINX challenges its dancers through exposure to new genres and varied Master Class teachers. Dancers enjoy participation in convention competitions, the chance to work with master choreographers, community dance performances, and the rare opportunity to dance in full-length productions, such as Swan Lake earlier this year and The Sugar Plum Suite in the coming fall. Additionally, LINX has enhanced their dance programs through certification in the art of acrobatic dance and is the only studio in Wellesley with the certification. LINX is in its eleventh year of operation providing fun-based classes and camps that specialize in dance, theater, sports and early childhood programming. The main office is located at 141 Linden Street in Wellesley, MA. For more information about LINX Dance Studio, visit http://www.linxdance.com or call 781-235-3210. WELLESLEY, MA – June 15th - LINX Dance Studio placed 8th in Starbound National Talent Competition’s top 10 studios. 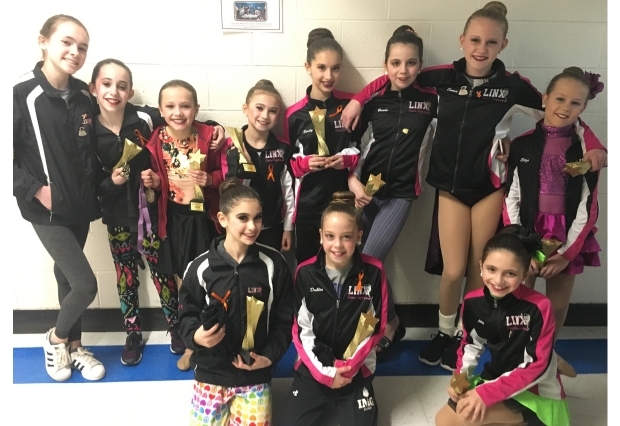 LINX Dancers age 7 to 16 earned 350 points for awards including 40 elite gold, 4 special judges, 1 audience choice, and 5 overall first-place finishes, 5 overall first place group dance, and other top ten placements during the March competition in East Greenwich, RI. “It is very exciting to be recognized as a studio ranked in the top ten standings at such a well-known competition. This competition has traveled to over 60 locations across the United States this season. It is a huge accomplishment for the LINX Dancers and I could not be prouder of this achievement,” said LINX Dance Director Heather Emley. LINX is in its eleventh year of operation providing fun-based classes and camps that specialize in dance, theater, sports, STEAM and early childhood programming. The main office is located at 141 Linden Street in Wellesley, MA. For more information about LINX, visit http://www.linx-usa.com or call 781-235-3210. Wellesley, MA – MAY 17, 2017 – To hire a culturally diverse camp staff for summer 2017, LINX Camps of Wellesley has partnered with Camp America to hire 59 international young professionals from 6 countries. Additionally, LINX hired 19 students from Spelman College and Morehouse College, both HBCUs (Historically Black Colleges and Universities) in Atlanta, GA. These partnerships will add cultural diversity to LINX Camps’ programs, led by experts in science, art, technology, engineering, dance, theater, sports and more. “We’re excited that our campers will benefit from a unified camp experience, rich in cultural diversity. We continue to create the greatest camp experience for all our camp families, and we look forward to making 2017 our best summer ever,” said Joe Kahn, Owner and Founder of LINX. LINX’s ability to house international and out of state counselors provides day campers a culturally diverse experience normally only found at overnight camps. Roberts said that international staff has traditionally always been a very exclusive experience for only residential camps. Through Camp America, the biggest international summer camp staff provider, LINX had access to over 8,000 prequalified and fully vetted candidates worldwide who were looking to work in the camping industry. Starting in June, International staff will arrive from Australia, New Zealand, England, Scotland, Ireland, and Poland. Counselors hired within the US are coming from IL, CA, TX, AL, GA, VA, NJ, and NY. Both international and out of state camp staff will reside at Regis’ dormitories in Weston. Regis’ college campus is the new home of many of LINX’s STEAM Camps. Serving Metro West, LINX is now in its eleventh year of operation with over forty premier camps. The main office is located at 141 Linden Street in Wellesley, MA. For more information about camps and classes at LINX, http://www.linx-usa.com or call 781-235-3210. 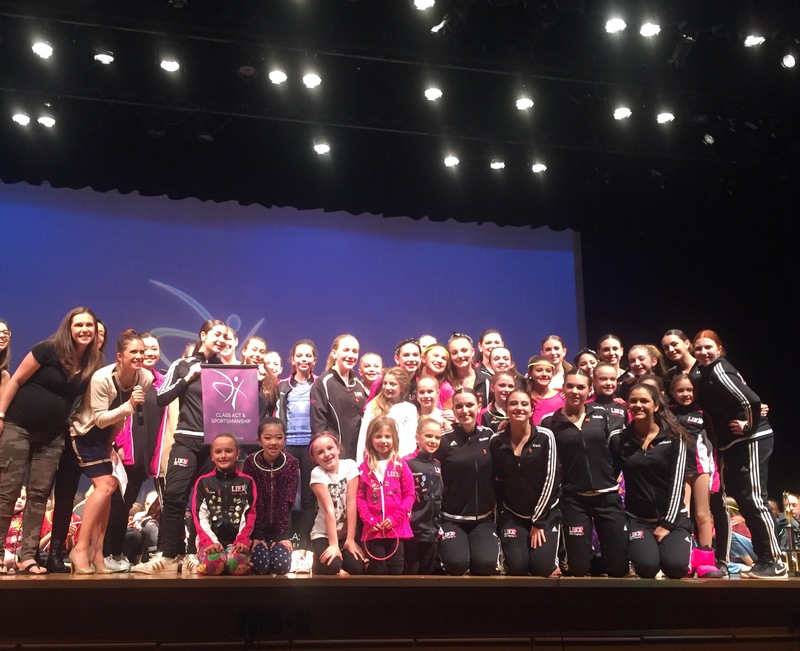 WELLESLEY, MA – May 15 - LINX Dancers of Wellesley proved to be a class act, winning awards that included the Class Act and Sportsmanship Award at World Class Talent Experience, May 6th – 7th in Tolland, CT.
“I was so proud that LINX Dance Studio won the “Class Act and Sportsmanship Award. It was an honor for our studio to win this award, as it recognizes our dancers for being supportive to other studios, dancers, staff and each other,” said LINX Dance Director Heather Emley of their first time competing at the event. LINX dancers, age 6 – 16 appreciated the opportunity to perform against 7 schools, known for being tough competitors. They pushed themselves to perform better, taking home additional awards that included: 3 Breathtaking and Innovative Choreography, 3 Title, Brilliant Costume Design, Future Star, Fabulous Flow, Great Connection, and Entertainment. The requirements for the solo title division were new to LINX’s dancers. In addition to their solo routine, title competitors had an onstage introduction where they answered a question from the emcee. Dancers also had to perform a 20-second dance, without music, in a style different from their solo routine. The experience tested versatility, composure, and stage presence. 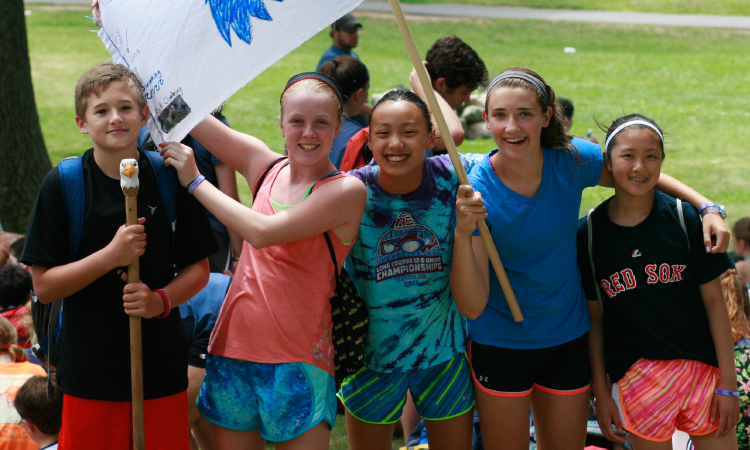 WELLESLEY, MA – May 9 –For a second consecutive summer, LINX Camps of Wellesley, MA, has recruited expert-level counselors to head its Science Camp, located at the Dana Hall Campus, for Summer 2014. The full day camp, designed for children in K – 8th grade, will engage children in weekly hands-on experiments and activities in Physics/Engineering, Chemistry, Biology/Earth Science, Electronics, and Outer Space/Flight. Traditional camp activities, such as swimming and sports, are also included to round out the camp week experience. Tara Stewart (Ph.D. Biomedical Neuroscience, Boston University), is experienced in teaching 4th and 5th grade scientists through hands-on experiences, and is energized to continue the adventures as a LINX Science Counselor for Summer 2014. 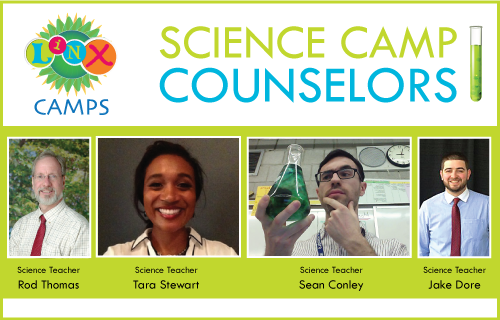 "Campers have a head counselor who leads them to many of the science specialists throughout the day/week. In this way, the campers get exposure to different projects and teaching methods from experts in each of the areas of science!" said LINX Vice President Josh Schiering. Other experts leading LINX’s Science Camp include Rod Thomas, (B.A. Psychology, Colgate University, Masters in Education, Salem University), and Jake Dore, well-known at LINX last summer for his creation of "Mysterious Chemical X". Dore, (B.S. in Elementary Education, Boston University) and current 4th grade teacher, is back for more lessons that promise to be not only mysterious, but gooey and sticky as well. 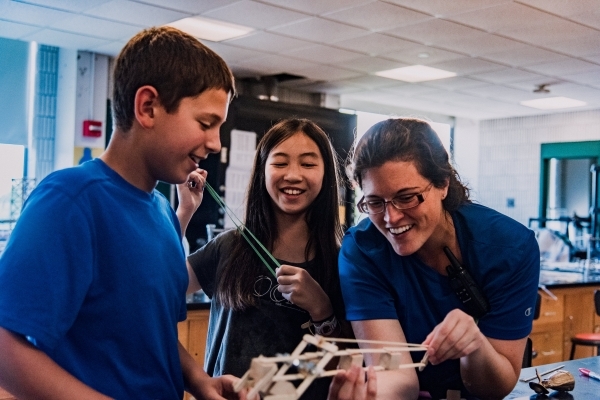 Sean Conley, 7th grade Science teacher in Natick, MA, and lead Science counselor for LINX last summer, is looking forward to sparking the curiosity of his students and getting them thinking about the world around them. In addition to teaching science, Conley trained other science educators on how to present fun and energetic science programs. "LINX Science Camp has experienced a 40% increase in enrollment this year and it is showing no signs of slowing down as we get closer and closer to camp," said Schiering. "Combining our fun-based hands-on approach to learning with experienced Science Teachers who are trained in the LINX methodology has propelled our program to new heights," Schiering added. 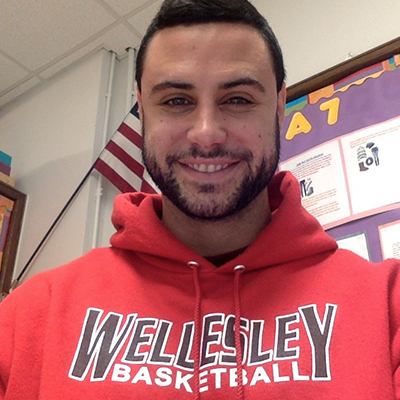 WELLESLEY, MA – February 16th – Nick Martinelli is no stranger to LINX sports camps, returning for summer 2018 as coordinator and head basketball coach at the Dana Hall campus in Wellesley. Nick looks forward to working with former NBA Champ Brian Scalabrine for some sessions again this year, as their personalities complement each other, and they share the same values as basketball mentors. In addition to Nick’s love of coaching basketball all summer, he looks forward to LINX’s traditional activities, which allow him to connect with campers outside of sports camp. Wellesley, MA – September 15 – LINX Dancers performed at Boston College’s Alumni Stadium in front of thousands of football fans to show their support of the Eagles during the 2nd quarter timeout of the game on September 9th, 2017. The one-minute routine began with a back tuck by one of the dancers, gaining an immediate roar of support from the student-packed crowd they faced on the sideline. The dance team enjoyed watching a collegiate level football game and were excited and grateful for the opportunity to project their energy up into such a large crowd when it came their time to dance. The dancers, grade 4th – 11th, were introduced to the Boston College Dance Team. “Boston College was such a great host to our LINX Dancers! The crowd was extremely responsive to the routine. They showed a lot of support and encouragement before and after the performance. This experience had a great impact on our dancers!” said Heather Emley, LINX Dance Director.